This is the place, all you Queen and Brian May fans have waited for so long. Have a deep look into the magic of Brian May´s sound and how to achieve it. 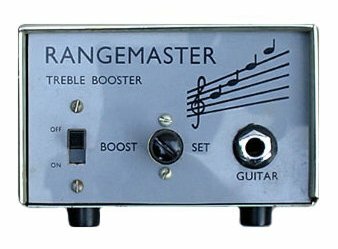 The BSM RM is a faithful recreation of the germanium powered Dallas Rangemaster treblebooster that Brian used from his early beginnings up to approx. 1977 So this is the pedal for the early Queen tones ! The BSM BM-Q treblebooster is silicon loaded and will give you the late Queen tone from 1977 and later years. Like Brian´s original box, this unit features a volume control. For the purists, the BSM BM-Q Special treblebooster is identical to the BM-Q stompbox, but without the volume control, so you can control the booster directly with the volume pot of your guitar. Brian May sound ? Brian May guitar ? Brian May picks ? Talking or writing about a giant of rock history is difficult, because sometimes we could think of limiting his performance capabilities in a kind of shopping list, completing which we could start playing like he does. This is wrong. Starting from the way you hold your pick, the spot you hit your strings ... you, as a guitar player and musician, perfectly know that even these small things can make a huge difference. So the first thing a real Brian May fan should do, is to thank him for the artistical effort he put in his life work and to start admiring the intelligence with whom he choosed the equipment that helped him to create a painting of sounds, used like colours to draw an amazingly variable musical landscape. 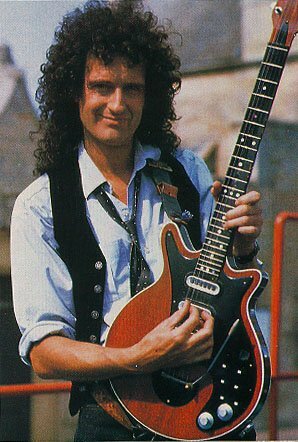 Brian May is famous for starting his musical career from scratch his own way, from a piece of wood and a lot of hand work with building his mythical Red Special guitar. I did my own one trying to respect not the exact original artwork, but the original intention: to convey my needs for tone and playability into my instrument of choice. I succeded changing the original specs drastically (indeed my RS has Fender scale neck, a different shape of the body near the neck base, no tremolo etc.) .. you'd say, why? you wanted his sound, you should copy everything. My answer again is: wrong ! Wrong because I love Brian´s original intention and I wanted to mimic that, not the result. So in this article I will try to explain the effects and routing that Mr. May used and uses (and also maybe WHY he did it) and try to suggest you my way to recreate a part of them. The starting point is a single coil based guitar, the Red Special. This guitar has the nice feature of out-of-phase switches, that can change the tone drastically with a single "click". If you do not have the time to build your own one, there are several authorized copies and reproductions of the original out now. Again, blind copying is not usefull, but this is my personal point of view. Even a standard Stratocaster can be routed to sound like the RS, so if you'd like to hear first and then decide what to buy or build, I suggest to spend some bucks for some switches and solder the normal Stratocaster pickups the same way Brian did. You'll find all the links you need on the wiki page about Brian. Brian´s original pickups are larger than the Stratocaster singlecoils and are much more similar to the Gibson P90 design. 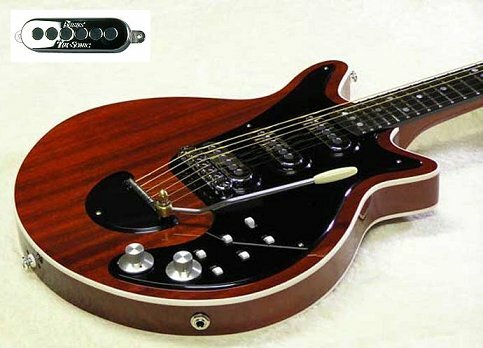 Indeed if you try a Gibson SG with two P90 pickups (all mahogany wood like the original RS) and a phase shift switch, you'd be amazed by the similarities you can hear. So in the end a good mahogany solidbody guitar with three Kent Armstrong or Burns replica pickups is a nice guitar to start from. This guitar is feeded to an amp through a pre-amplifier This particular pre-amplifier was a need in the early sixties, because of long cable runs, noise and interferences coming from the stage lights etc. or simply because the typical guitar amplifier of the late sixties where too much "clean". In the original amp design used by Fender and Marshall there was no pre-amp volume (or gain) followed by a master volume control, so if you wanted a crunch sound, you had to start living on the countryside to avoid being taken to court every week for disturbing your neighbours all night long ! The only way to obtain a really distorted sound was to use the amp´s full volume. So a simple cascade of two or three transistor was a perfect solution for this problem - this was the treblebooster ! Feeding a normal amp with a signal pre-amplified 10 to 100 times (milivolts my friends, we are talking about milivolts) is a great way to drive any amp into saturation (where the orginal designer really did not wanted it to work!) and to create a wonderful rock sound. 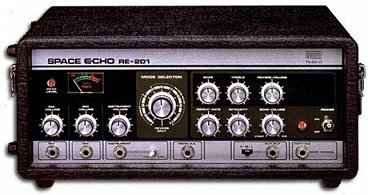 There are several examples of this pre-amp devices in the sixties: The Sola Sound, the Dallas Rangemaster, the Foxx Tone Machine, the Dallas Arbiter Fuzz etc. You don't know them? Perhaps if I say Jimmy Page, Brian May and Eric Clapton, Robert Fripp, David Gilmour and Jimi Hendrix you have some famous users of this devices. You don't have to think that the needs on stage were different 40 years ago - sometimes the guitar should play softly rhythmns, sometimes lead... so what's better than a footstomping device for this preset sounds ? "stomp" -> solo, "stomp" -> rhythmn A noticeable difference between this old devices and actual modern ones, is the presence (or absence) of germanium transistor instead of silicon ones. Again, this is due mainly of technological reasons and not to artistic ones: there were only germanium transistors in the sixties because silicon technology was still in development, so everybody used them. Later on during the seventies, silicon transistors showed up on the scene and along with them several others famous devices too, like the Tube Screamer. But these pedals were defintely distortion pedals and slightly changed the way players used them. Talking about trebleboosters, I'd like to report my favourite luthier's opinon (Stanzani, from Bologna/Italy - he made the last guitar for Pat Metheny) He told me, that mahogany guitars are really smooth and mild sounding instruments; on the other hands side maple guitars are bright and more aggresive sounding. So maybe Brian appreciated the use of a treblebooster to enhance the higher overtones of his mild sounding Red Special guitar. Again, try a SG with a good treble booster and listen carefully.. you'll find The Who, Santana and many many more inside. 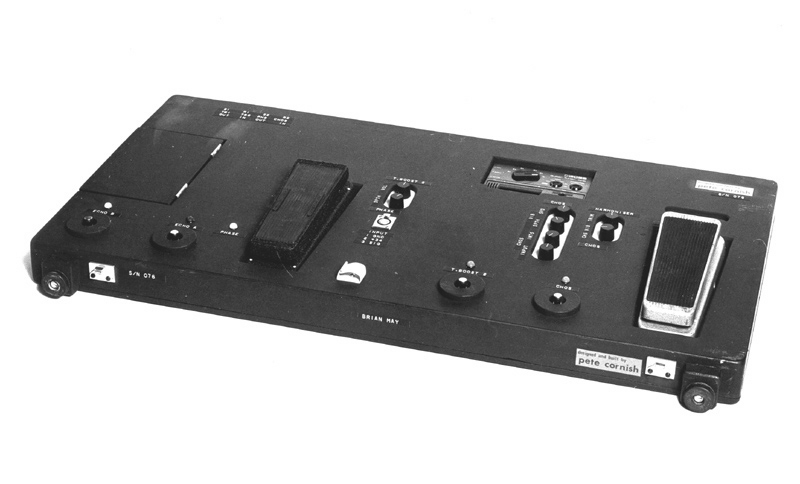 You can see some great pics of this pedalboard, along with a lot of other great Brian May pics on the webpage of Mr. Pete Cornish So what Mr. May used in the studio for his recordings could still be part of the legend, but what he used on stage between 1972 and 1992 is almost the same ! 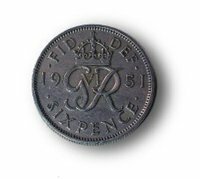 With these simple (but not primitive) effects he succeded in recreating the subtle nuances of his recording tone on tour - together with his six pence pick and his fingers! Indeed Mr. May uses fingerpicking an unbelieveable number of times and if you take a clooser look on his right hand while playing, you could see that normally he plays the lower strings with the pick, using the fingers for the higher strings (hybrid picking). "The problem with guitar effects like chorus and delays is that they add a time shifted or delayed version of your signal and in a certain way they disturb the original sound if played in the same couple of speakers. Indeed the frequency extension of a delayed note is exactely the same and this way the cone of an amp is still moving reproducing the orginal signal and then he has to reproduce the delayed line too. This kind of mixing is not the best one. The best one is to let the air be your mixer"
So, here is Brian's second fundamental lesson: to use a second amp to reproduce the chorused version of his guitar playing, a third one for the first delay output, a fourth on for the second delay etc. Again, this technique is not a myth or something coming from Mars. It's only the typical way to record a nice, fat and powerful guitar sound when you are in the studio! Another great music documentary I suggest is the "The Dark Side of the Moon" from Pink Floyd. There are 4 priceless minutes in which D.Gilmour plays in his studio the main riff of "Breathe" and he uses something like 4 or 5 amps, all different, including a Leslie. Jimi Hendrix also loved the Leslie sound to make a guitar rhythm part thicker (listen to the beginning of "Little Wing"). Brian preferred the chorus, that is nothing more than the electronic illusion of the complexe doppler-effect through a good Leslie speaker. But again, the great sensation when you are playing, is not to add the chorus, the big deal is to split the guitar sound (after being pre-amplified, so you see another great reason for having a booster in your signal chain) and send it to a chorus pedal, cascaded to a second amp. The air, the room, the studio, the stage will do the rest of the magic. "All the AC30 amps used by Brian May were modified by me to improve their reliability; I removed all the valves (tubes) that were in the "Bright" and "Vib/Trem" preamps and also the "Vib/Trem" oscillator and modulator valves. This reduced the drain on the power transformer with consequent reduction of temperature rise in the amp cabinet. I also replaced all the valve rectifiers (GZ34) with solid state rectifiers and upgraded the smoothing capacitors. This increased the amps power stage headroom giving a much clearer sound. I increased cooling for the amps by enlarging the top air vents in the cabinets which, combined with the reduced amp temperature rise, made a vast improvement in the life and reliability of the amps." So, if we really want that sound, we shoud start geeking our amp pretty much deep, but I don't recommend this for two reasons: First the circuit of THAT AC30 is for sure different from the one you have, so maybe it is even impossible to work it out the same way. Second this is a good way to reduce your sound possiblities only to Brian's sound. Maybe this sounds odd for a Queen fan, but we all must admit that there are other very good sounds in rock history, don't you think? So, why remove the possibilities to have a magical crisp Beatles sound like the one on "Drive My Car" or "Ticket to Ride" ? They used the same Vox amp too!So, I first had a Marshall "Bluesbreaker" amp and I found it too clean (so stupid I was, I did not know anything about pre-amplifying and trebleboosters), so I sold it and decided to buy a Vox.. but a new one, because the reliability of old amps is really a problem. So I tried a Vox AC30 CC (only the head) and I took it immediately. This amp is versatile! It sounds great. It has some details that I love when I play live: you can plug the "clean" guitar to the clean channel and the "heavy" guitar on the Top Boost one and you'll have a tone palette going from Led Zeppelin rock riffs to King Crimson sad ballads. As I stated before: I need all of those sounds!What about the speakers? 12 inch "Alnicos Blue" forever? Not really, I studied deep here and i discovered a nice feature that I would like to share with you. AlNiCo is the name for a composite material, a mixture from Aluminum, Nickel and Cobalt, that has ferromagnetic abilities. The good point here is, that the dynamic behaviour of a cone driven by the magnetic field produced by this material is (to express it with simple words) extremely balanced; as you may know, the amplifier produces an electric current that is proportional (an amplified version indeed) to the small current coming out of your guitar. This large current flows into the coil of the loudspeaker that is immerged into the magnetic field, produced by the magnet itself. So if there is no signal from the amp, the field is constant in time, and it would do nothing if not "disturbed", but once you play, the flow of the current all around the magnet produces another magnetic field that interacts with the one of the magnet. The system is trying to "resist" to this new magnetic "event" and it starts moving, meaning that the cone that is mechanically glued to the coil is affected by accelerations produced by the reaction of the magnet. This much complicated stuff in mind, you can say that AlNiCo magnets interact in a very fine way with the cone. They can push it or pull it exactely in the same way and with the same strength. Ceramic magnets don't behave that well and they push differently from how they pull, that´s one of the main reasons why they sound different from Alnico speakers. This effect introduces a perceiveable effect in terms of distortion. But, just to be clear, the difference between an open-back cabinet and a closed-back one is two or three numbers of magnitude higher than this effect! So perhaps before starting a blind-test which cones your best friend installed in his new amp, try to play with a closed back cabinet and then open the back panel - you'll be astonished, because you are listening a complete different "diffraction-and-reflection" effect due to the presence of walls behind the amp in the room you are playing in. To summarize, an open-back cabinet is our choice, because old Vox amps were made like this? Yes, but also because they are lighter, because you can use the back of it as a stage monitor for your drum player, because you can put cables and pedals in the cabinet as a portable shelf ! And now the more thrilling part of this article: what can you do? 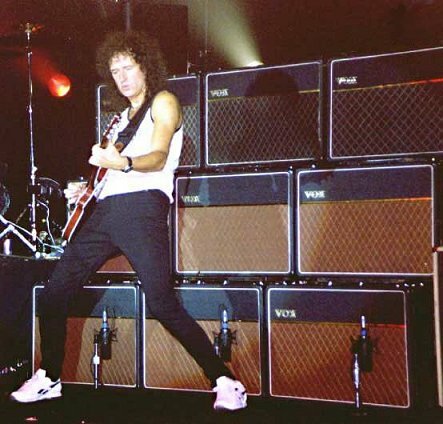 Meaning what can a normal (and not physicist neither rock star) guitar player do to achieve some or many of Brian May´s tones. First of all you need a good guitar with a good action and new, very light strings. Brian uses thin strings, because he can turn up the volume indefinetely on stage (he uses something between 9 and 12 amps!) so he has no problems of hearing himself. Second a good treblebooster ! Did I try them all ? Unfortunately not, but I tried the small white Vox BM1 that I own and love (I love the concept of the amp itself.. small and light with ONE nice sound!) I tried the BSM RM and BM-Q even in the "special" edition and I must say that I fell in love with the RM model. It has that punch that makes my amp sing when I need a solo and leaves everything intact when I turn it off. I also love the BM-Q Special pedal.. if you like that sound, and I do, you just have to plug it and stomp it.. then concentrate on the playing and not on puching buttons or turning knobs. I tried them with my 18-watt Marshall replica, with my 100 watt Hiwatt replica and with my Vox Ac30CC; to be honest the best result was with the Hiwatt replicas simply because the amp itself is wonderfully loud, crisp and without any humming noise. As you read, Pete Cornish worked on May's amp to increase the headroom and decrease the noise level and it's sad to say but it's a part of its tone, the Vox is definetely affected by noise and starts distorting pretty much soon, at least if compared with other amps of the same period. It's a good feature of course if you like (as I do) that kind of sparkling clean sound that is not perfectly clean! But if you like to separate more precisely the clean from the crunch or the solo sound, then I suggest to buy a slightly bigger amp (at least 45/50 watts) and exploit the bigger headroom it has. Third you will need a good 18-30-45 watt all tube amp. The Marshall 1974x, the Vox Ac30 and the Bluesbreaker are extremely good choices, as I already said. There are many others and as a general rule you can say, that hand-made amplifiers are better then the normal industrial products - much better ! Forth, a good cabinet, meaning 2x12" or 4x10" open-back cabinet, with 25-30 watt rated speakers, just to enjoy the cone distortion as well when you crank up the amp while playing large gigs. All the rest is up to you and your fingers. As Brian would say now... cheers! Written and researched by Ludovico Ausiello from Bologna/Italy, multi-instrumentalist and guitar player with a true passion for Blues and Rock from the 60´s and 70´s. He holds a master degree in electronics. As a real Brian Mayniac, he built his own replica of the Red Special guitar, along with some other guitars and basses. If you want to contact him, please send him an lausiello@arces.unibo.it.